Designing a nursery doesn’t have to be a complicated and daunting process. Whether you’re expecting a baby or you’re helping a loved one ready their home for the arrival of a new human, designing a nursery can be quite fun! The most important thing to remember before you start picking out baby decor or painting the walls, is the fact that this space is meant to be a happy place. The nursery is where you will hold your little one at night before they fall asleep, and it is where you will spend some of your most intimate moments with your newborn. 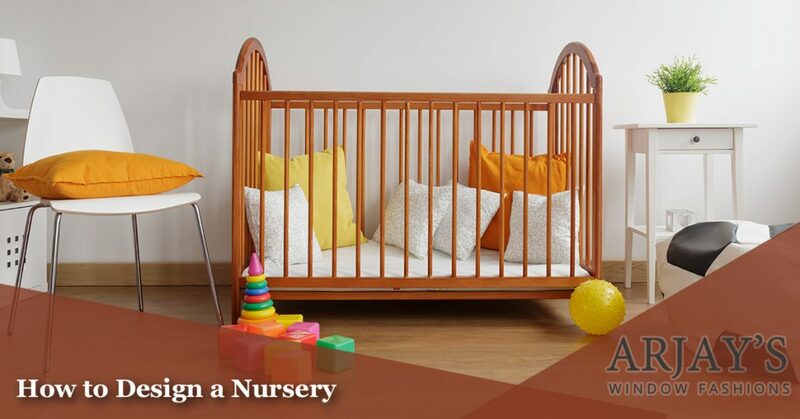 In this blog, we’ll look at a few important tips to remember as you start to devise your nursery plan. While many new parents think their newborn will only spend a few months in their crib, the reality is that children can spend up to three years in a crib. Before you choose the first crib you see at the department store, make sure the crib meets all US Safety Standards. When it comes to your newborn, you don’t want to buy repurposed or vintage cribs, as they can be very unsafe. With safety standards evolving over the last decade, it’s critical to give your baby a quality crib that will last for years to come. Some cribs on the market convert to toddler beds and even full-sized beds. If you’re concerned about your child rolling off of these beds in the middle of the night, you may want to invest in a toddler rail. These are a great solution for babies that start climbing out of cribs early. If you don’t have room for a free-standing changing table, you can get a changing pad that can be added to the top of any dresser. If you do have room for a free-standing changing table, make sure to invest in one that has a life beyond your baby staying a baby. Can you repurpose the changing table down the line and turn it into a toy storage? How about a bookcase? Use bins or dresser drawers to store any diapering related items like wipes, ointments, and lotions. Be sure to keep baby toys near the changing table so your little one has something to play with while you take care of the dirty deed. Another aspect of your child’s nursery to think about are the window coverings. Any new parent will tell you that light control is their main concern when it comes to choosing window treatments for their nursery. While young children need a good amount of sleep every day, have you ever wondered how many hours of shut-eye your little angel actually needs? In 2015, a panel of six sleep experts and 12 other medical professionals came together to revise the National Sleep Foundation’s (NSF) sleep recommendations. The panel conducted a formal literature review, making a point to focus on the body of research surrounding sleep duration between the years of 2004 and 2014. From those 312 articles, the panel determined that newborns (0-3 months) require 14 to 17 hours of sleep, infants (4-11 months) require around 12 to 15 hours of sleep, and toddlers (1-2 years) require 11 to 14 hours of sleep. 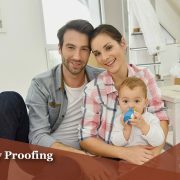 At Arjay’s Window Fashions in Los Angeles, we’ve helped hundreds of young families find and install the perfect window coverings in their nursery. Most importantly, we offer a wonderful array of child safety solutions to ensure your child does not become entangled in window covering cords. The nursery chair you choose for your baby’s room is very important. As a new mom, you’ll want a comfortable place to sit as you read to your baby, breastfeed your baby, and sing your little one to sleep. Many new moms opt for a rocking chair or glider for their nursery room. The movement of these chairs will help to lull your baby to sleep, which can be a real blessing for those late night feedings. Choose a rocking chair that has arm rests, as well as one that is roomy enough for you and your baby to cuddle. If your nursery currently has wood floors, opt for a plush wool or shag rug. This will help to cushion your little one as they start to sit, crawl, roll, and walk. If you decide to go for a shag rug, make sure you get one that features a short pile. Long pile shag rugs can pose a choking hazard to young children. Choose a rug that will be fairly easy for you to clean. Wool rugs can take a real beating and still clean up easily. Some cotton rugs can be machine washed, but it’s always best to look at the tag for proper cleaning instructions. We hope that this article helps you as you start to design and organize your nursery. If you live in the Los Angeles area and you’re in need of a professional window covering expert, look no further than Arjay’s Window Fashions. 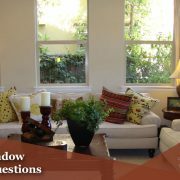 We’ve been serving Southern California since 1975, and we’ll work with you one-on-one to ensure your window covering project meets your needs and budget. 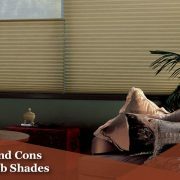 Whether you’re interested in installing shutters, blinds, shades, or drapes, our experts are here to help. Contact us to schedule your complimentary appointment! Visit ArjaysWindowFashions's profile on Pinterest.